Pizza Dinner and Bingo fun & prizes! The event is FULL and we can not accept additional RSVP’s. 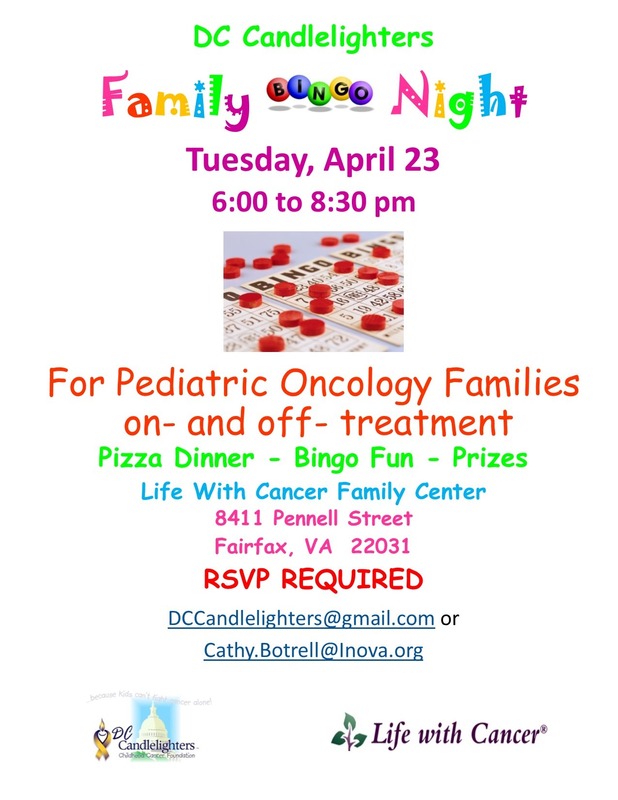 Please note we have reached capacity for our Family Bingo Night on April 23 and we are no longer accepting RSVP's.